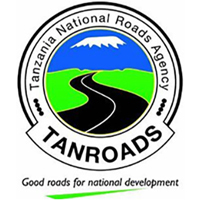 The Regional Manager's office TANROADS - Kigoma, on behalf of the Chief Executive TANROADS, intends to recruit suitable qualified and competent Tanzanian to fill the following vacancies on specific duties within the Regional on renewable contract terms. Successful applicants must be ready to work on assigned office work accordingly. Only successful applicants will be notified to attend the interview at their Own cost at Kigoma. 1. Must be Motor Vehicle Mechanic from recognized training institute. 2. Having form 1V Certificate Secondary Education. 3. Having valid Driving License [Class C] with a clean past driving record. 4. Working experience in similar job Eight (81 years. 7. Having level 3 or Trade Test Grade One in motor vehicle mechanics from VETA or any recognized training institute. 1. Carry out repairs and maintenance of vehicles according to mechanical standard and procedure. All interested qualification Tanzanians applicants are invited to apply and Submit their application letters to the under mentioned address not later than 27th December, 2017. Only the shot listed candidates will be Contracted and overqualified applicants will not be considered. To have sustainable, safe and environmentally friendly all weather Trunk and Regional road network to support the social economic development of Tanzania. To develop, maintain and manage the Trunk and Regional Roads Network efficiently and in a cost effective, safe and environmentally sustainable manner consistent with the Poverty Reduction Strategy and other Government policies through a competent and well motivated work force. Core Values Six core values entrenched in our entire activities guide the operations of TANROADS. These are Customer Focus, Innovation, Excellence, Team Work and Integrity.